The time has come again to shine a light into all the shadowy corners of Google Play to find the best new and newly updated stuff for your phone or tablet. 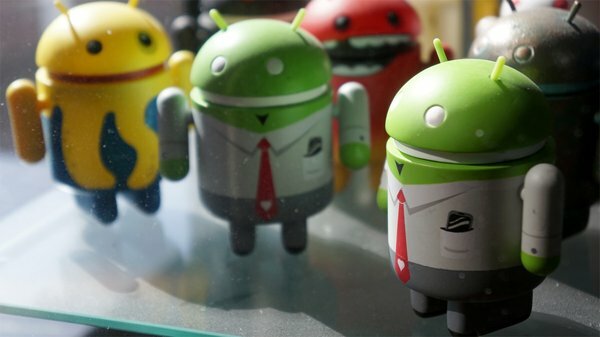 The Google Play App Roundup is where you can come every week to see what's cool on Android, and this week is no exception. Click on the links to head right to Google Play and download for yourself. This week you can share images more easily, hack the system, and mix up some colors. Seldom will you see a more negative reaction on the internet than if you post a link on Reddit that does not go to Imgur. The image sharing site has become the go-to way to host images for Reddit, as well as many other sites and services. There is an official Imgur app, but it's really just okay. Open Imgur, on the other hand, seems pretty great. This app comes to the Play Store packing a fully material interface with an "imgur green" action bar and light backdrop. That's just the default, though. As with most material apps, you can change the action/status bar color in the settings. There's also a dark theme, which actually looks a bit more like the Imgur website. 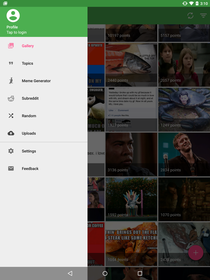 The main screen when you open the app is a feed of recent galleries posted by users in a grid layout. To get around, there's a slide-out nav menu on the left. Again, this is done with proper material styling. From here you can log in if you have an Imgur account, as well as access different areas of the app. You can view images by topic, subreddit, or random. When viewing individual images you can add comments and favorite posts. Open Imgur also has a meme generator built-in, which comes with a selection of all the big memes. There's Scumbag Steve, Insanity Wolf, Skeptical Third-World Kid, and more. If you're already tired of all the memes you've ever seen, feel free to avoid this section of the app. Actually, why are you using Imgur at all? I kid. 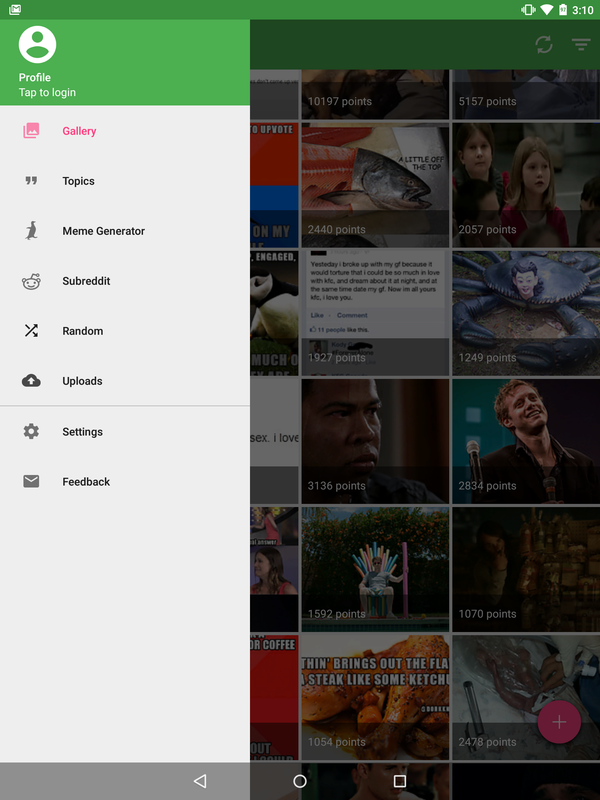 Of course, Imgur is all about sharing your pics, and you can do that with Open Imgur. There's a section of the app where you can get images from your device uploaded and share the links. A FAB on the main page also lets you upload images. If you're logged in, you can access all your past uploads from the app as well. One last thing, this is called Open Imgur, right? Well, it's open source, You can go to the Github and download the code, fork it, file changes, and so on. You can get the finished app free in the Play Store. There's strategy, and then there's strategy. Frozen Synapse Prime is definitely the latter of the two. If you've played the original Frozen Synapse, you'll know what to expect here. If not, you can think of it as a take on Xcom that strips out all the non-combat elements and makes the combat much, much deeper. The game takes place in a virtual environment populated with enemies of various types and your own troops. 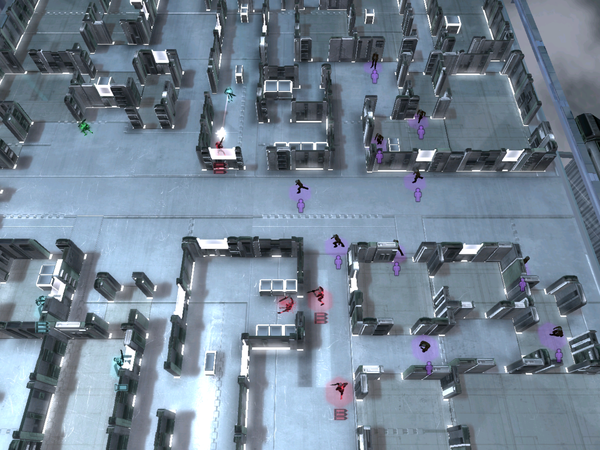 Each level has an objective, which is usually to eliminate all the enemies. Sometimes you need to defend a particular unit or make it to a certain spot on the map, though. The game is played from a top-down isometric view, which lets you see all the rooms, corridors, and windows scattered around the map. All the action takes place in short bursts of a few seconds. You get to plan your moves by setting waypoints for each unit, but that's only the start of the strategy. In order to succeed in Frozen Synapse Prime, you must assign different behaviors to each waypoint along a unit's path. For example, you might need to dash past a doorway to avoid enemy fire, then strafe around a corner to catch the attacker unaware. This is all possible with the right planning. Even the direction your units face must be taken into account. All it takes is one shot to eliminate one of your units. After you've planned your moves, you can simulate the turn to see how your units will move around the level. This gives you a clue as to whether or not you'll be able to out-flank the enemy, but you can't know how they will respond ahead of time. They might not move in the direction you think, so you need to plan carefully. 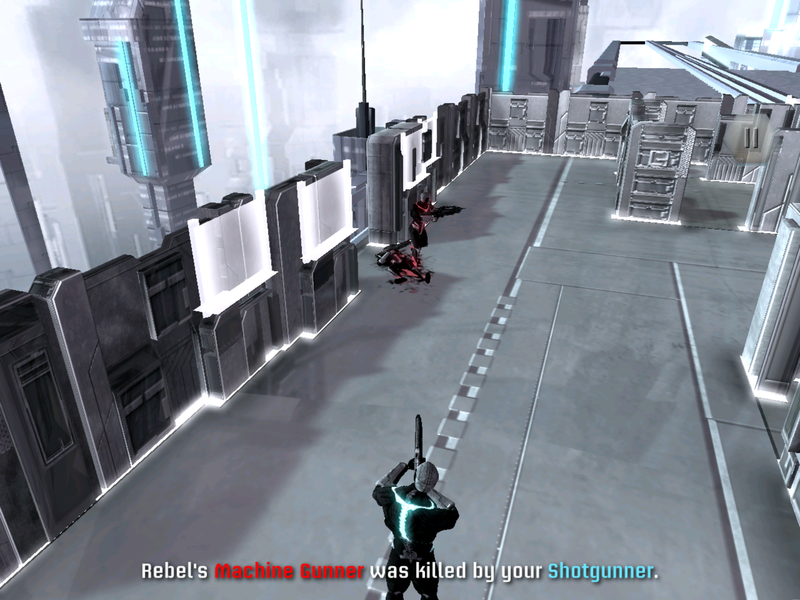 In case this isn't already clear from the basics of the game, Frozen Synapse Prime is very challenging. You might need to play through a lot of these levels more than once to get an idea of how the enemy fighters will move and respond to your strategies. Things only get more complicated when the enemy starts throwing advanced troops at you like rocket launchers and grenadiers. You have to learn to prioritize targets based on what kind of damage the enemy units can inflict. It's probably worth losing a single machine gunner to take out a rocket launcher that could pop around a corner and eliminate multiple soldiers in the next turn. The game has a very strong "Tron" vibe with glowing neon lines and simple shapes. It's probably fine that the developers kept the look simple because things get messy when you start creating complex plans of attack with multiple waypoints and commands. You can zoom in to make sorting through it all easier, and the visuals don't lose quality when you do. 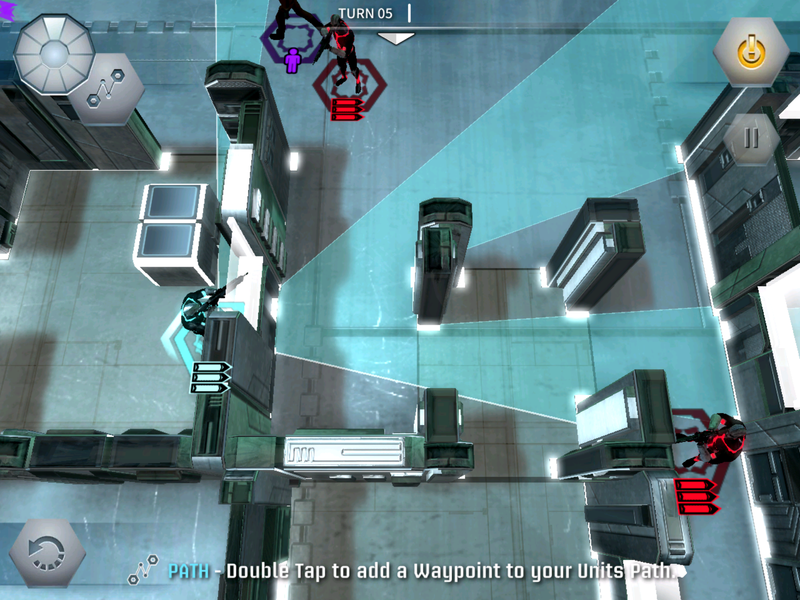 Frozen Synapse Prime costs $4.99 and there are no in-app purchases. It's a great game, but the meticulous planning in this title won't appeal to everyone. 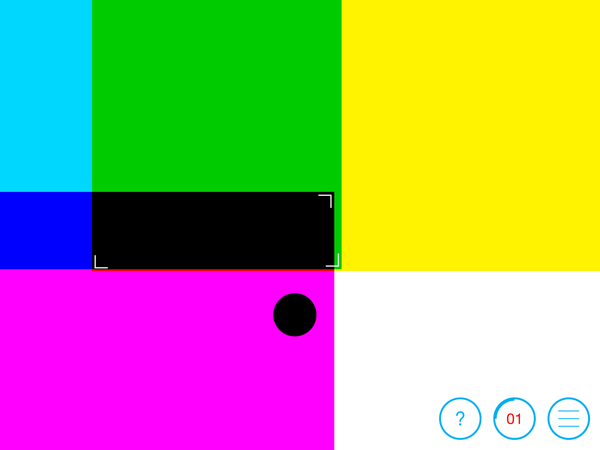 Overpaint is a color matching game that seems rudimentary at first, and the basics are undeniably simple. 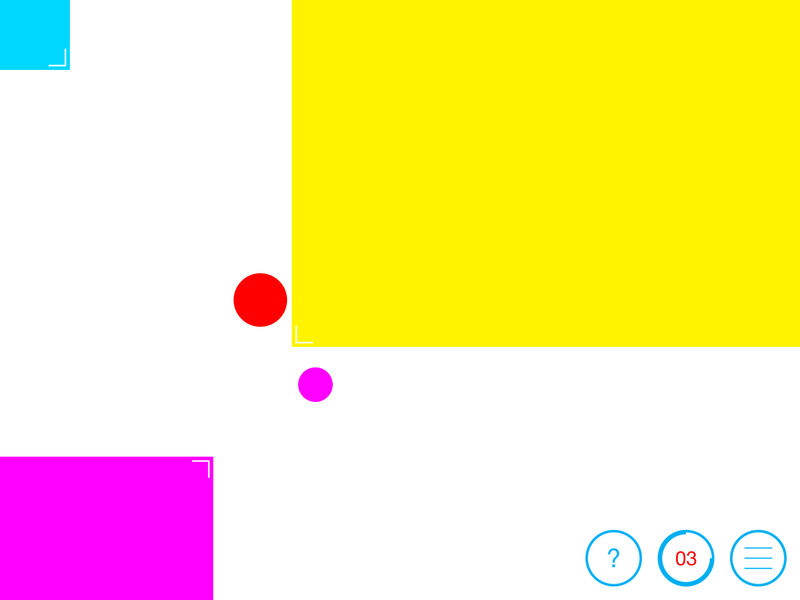 You must drag the colored blocks from the corners of the screen in toward the center to engulf the matching circles as they buzz around the screen. However, you only have a limited number of moves, and sometimes you need a new color that can only be created by overlaying two of the provided ones. Therein lies the challenge. Each level in Overpaint has a color in each of three corners of the screen. Each time you drag one of them outward you get a solid block of that color. That counts as a move, which you get only a few of. Near the middle of the screen will be several circles flying along a repeating path. Take time to study it--this game isn't about speed, but about finding the right series of moves to clear all the circles. If two colors overlap, you get a different third color. This is often necessary to clear one or more of the circles. If you have all three colors overlapping, you get black. You often need to pull the colors out in the right order so as to clear circles that match the primary tones, then add another to clear the secondary ones. If you can complete the puzzle in a minimum number of moves, you get three stars. Unlike many games, there's actually a reason to earn the stars. You must accumulate a certain number to unlock future levels, so there's some incentive to do more than simply finish and move on to the next stage. 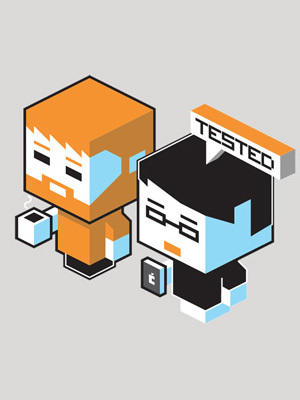 Since we're really just talking about blocks of color, there isn't much to discuss with regard to the graphics. I will say the game performs well and properly hides the navigation bar. The music is kind of neat too. It reminds me of the retro soundtrack of the Fallout games. You can download and play Overpaint for free. You have five lives to burn through, sacrificing one each time you restart or fail to complete a puzzle. They will regenerate over time, or you can refill them for $0.99. I know what you're thinking. How did i get this far without mentioning this is free-to-play nonsense? Well, it's not. You can play it that way if you choose, but $2.99 unlocks unlimited lives so you can play as much as you want.